Free pattern available for pdf download here! Hi, I love this pattern which I found on thisisknit but I can’t figure out some abbreviations? What is pm also m1? Also by a round do you mean 1 row plain 1 row purl? I love the Hands-up pattern but I have a couple of questions. The top & thumb ribbing on your picture does not seem to be 1×1. knit one up. Is this a children’s or adult size pattern? Hello! I have also printed off this pattern and am wondering about the abbreviations of “pm” and “m1″. Can someone pls explain. THanks! hey, just postin some responses to the questions here! yea the image here looks like 2×2 rib. 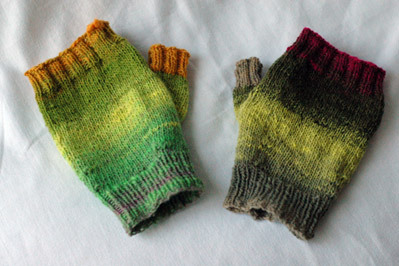 the images on ravelry with all 1×1 for the ribbing look great so i wouldn’t worry about it too much.